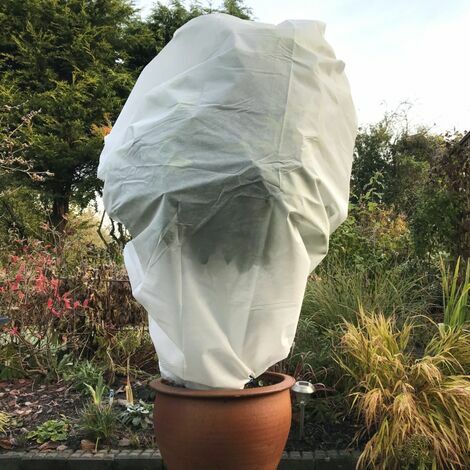 Probably the largest and thickest fleece jacket on the market giving vulnerable plants, shrubs and trees all the support they need over the harsh British winter. Most fleece jackets are 30-35gsm whereas GardenSkill's ultra thick fleece jackets are a whopping 50gsm giving ULTIMATE PROTECTION against cold weather, frosts and garden pests. Thick enough to keep tender plants nice and cosy but permeable enough to allow light, moisture and air through to ensure healthy growth. Comes with drawstring for a snug fit.